Hawaii Podiatrists who are members of the Hawaii Podiatric Medical Association (HPMA) comprise the state chapter of the American Podiatric Medical Association (APMA), the leading resource for foot and ankle health information. All Hawaii Podiatrists who are HPMA members are licensed by the state of Hawaii and these Hawaii Foot Doctors are obligated to follow a strict professional code of ethics. When you need a medical expert for your foot or ankle care, see a doctor of podiatric medicine. DPMs have the most comprehensive medical school training exclusively dedicated to the foot and ankle. Podiatrists treat more feet than any other medical specialty. 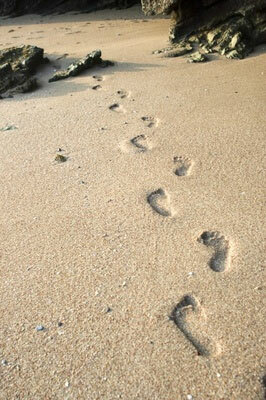 See a podiatrist and look for a HPMA Hawaii Podiatrists when you are in the islands. Is this the first time you have visited a podiatrist? Make the most of your time with the foot and ankle expert. Schedule a follow-up appointment (if necessary) before you leave your podiatrist's ffice. © 2018, Hawaii Podiatric Medical Association. All Rights Reserved.